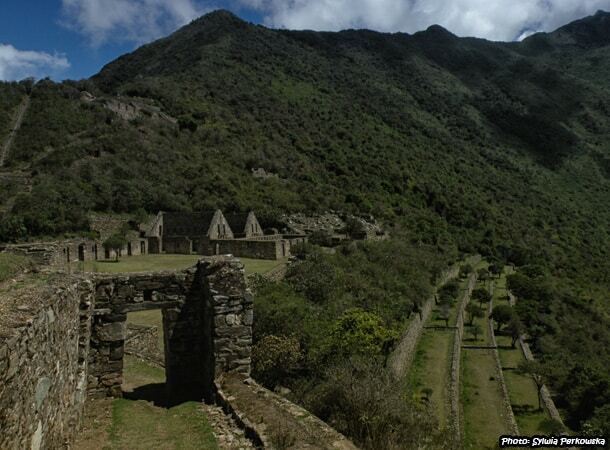 Choquequirao – the amazing Inca ruins situated in the region of Cusco, Peru. It is a great alternative to the famous Machu Picchu as it is not as crowded and some people find it to be even more spectacular. 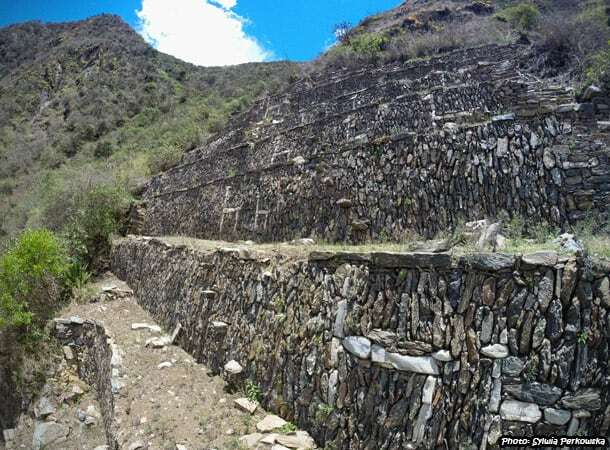 You can learn more about the general information on this site in my article “Choquequirao ruins, a beautiful place to visit in Peru“. 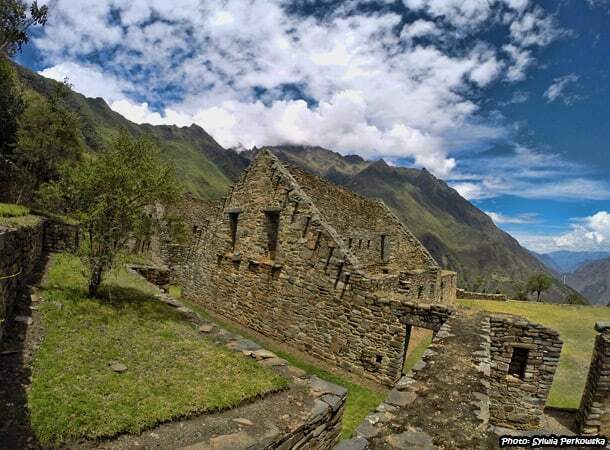 In this article, I will describe my experience of trekking to Choquequirao, which I did in the month of November. 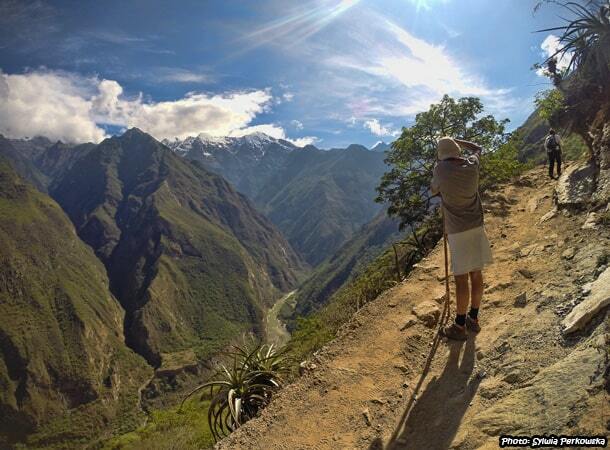 My expedition to this famous Inca ruin was challenging but definitely worth the effort. The team consisted of 4 people. In the beginning, we expected to overcome the route in 4 days, which is what is standard. The idea was to rent a donkey to carry our belonging, but we also recognized the possibility that this may not be possible. Therefore, all of brought as little as possible in our backpacks. 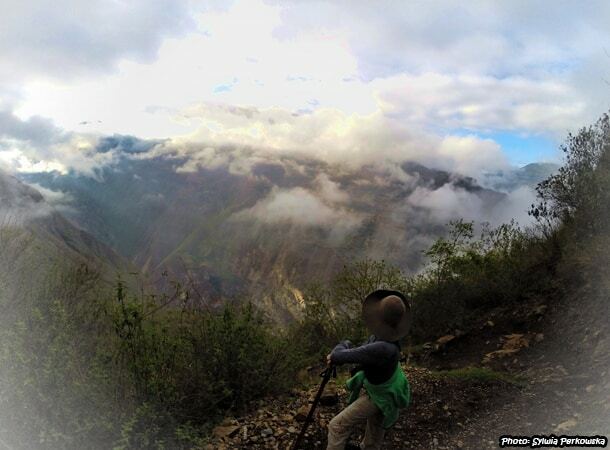 The Choquequirao trek in the Cusco region begins in the town of Cachora. Therefore, you first need to reach this town. 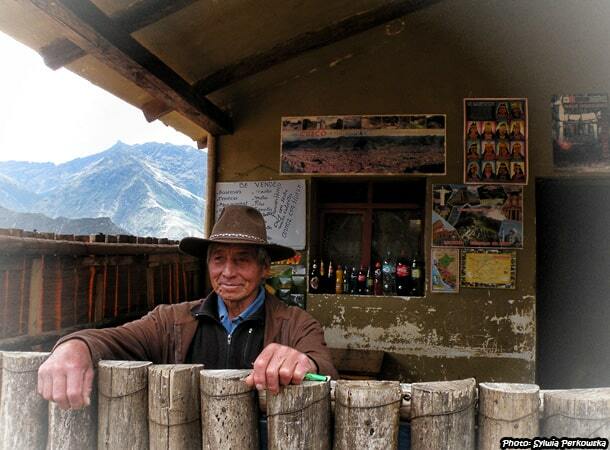 It takes 4 hours to get from Cusco to Cachora via bus (including a change in Curahuasi). 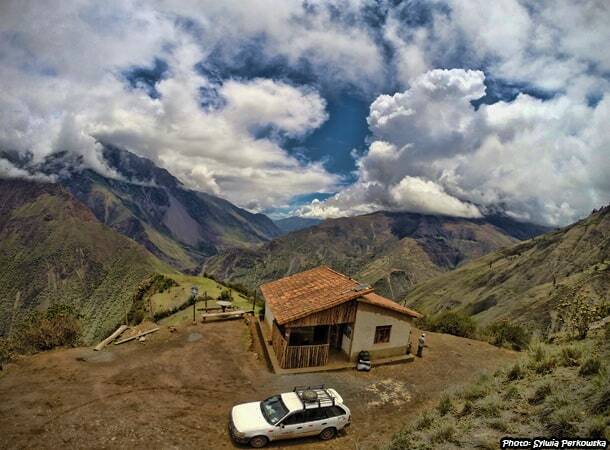 To avoid traffic and unnecessary stops on the way to Curahuasi, we decided to leave Cusco at 4:00 AM. This bus cost S/.15 per person and took 3 hours to reach the town. Here we had a quick breakfast – quinoa and a sandwich with cheese (delicious), and then bargained with a taxi driver about the price of a ride to the village of Cachora. After finally reaching a price that everyone was happy with, we started our next part of the trip. After less than an hour we were almost in Cachora. Almost, because as it turned out, the road was blocked just a few kilometers outside from the town. 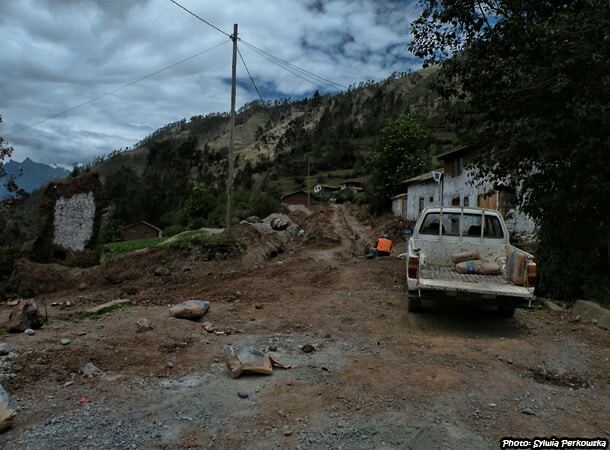 At the time, there were renovations on the road and given the pace at which roads are built in Peru, it seemed like the road would be in this state for the months to come – although it should have surely cleared up by now. 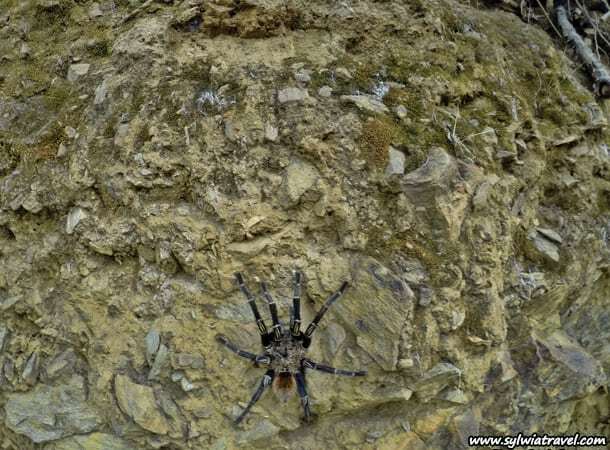 Nevertheless if you are planning a trip to Choquequirao, be prepared for surprises on the way. Therefore the last 2-3 km had to be overcome by foot. To make things more interesting, we were greeted by rain – but this did not take us by surprise. As November marks the start of the rainy season in the region, we came prepared. We arrived in Cachora at about 9:00 AM and had a small meal. Some of the team tried caldo de gallina, not my favorite soup, so I went in search of something else to eat – which I managed to find in quinoa, which made me happy. After the meal, we began to search for an arriero (donkey Shepard) and a donkey for transportation of our equipment. This proved to be more difficult that we predicted. Probably because the rainy season had already started, so all the arrieros were already hired. After an hour of searching, we were able to find one, however not at a favorable price. Our arriero’s conditions were as follows: we would have to pay for four days, despite only planning the route for 3 days – 35 Soles per donkey and 30 Soles per arriero, per day. Therefore, it cost 65 Soles per day, or 260 Soles for 4 days. Given that this was the only arriero we could find and that no one wanted to carry 4-days worth of equipment on their backs, we quickly accepted his conditions. Finally, by around 11:00 AM, we were able to commence with our trek! 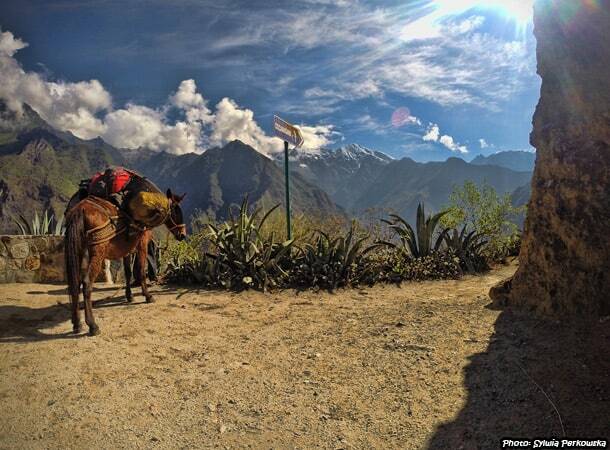 If you are planning to organize this trek on your own with a donkey and arriero in the high season, good luck. This is an almost impossible task. Even from November onwards (after the high season), we experienced problems in finding an arriero and donkey to hire, so I can only imagine what its like in the months of May to September (high season). However, most tourism companies have agreements with arrieros, so you are more likely to have the services if you book through an agency. Everyone starts the trek from Cachora, where you will have to wander through regular roads for at least 3 hours – until you reach Capuliyoc. Before you reach Capuliyoc, you will pass the most perfectly positioned house. To be more specific, the walking trail itself does not begin in Cachora, but near the Capuliyoc pass. Due to the fact that the journey from Cachora to Capuliyoc can be done by car, we decided to skip this part and took a taxi. I personally, do not see the point of making this part of the trip by foot. It is an extra 3 hours of hiking the first day, and another extra 3 hours on the way back. It is still easy to overcome this stretch by foot as it is totally flat, however, it is a sizeable distance. Therefore, it is worth traversing this stretch by car and saving your energy for the more demanding stretches (of which there are many). Our team planned to do so from the very beginning. So in Cachora, we rented a taxi, for 40 Soles, which took us to Capuliyoc. The trip lasted less than half an hour – therefore saving at least 2.5 hours, our energy, and strength! If you intend to organize the trek to Choquequirao on your own, I recommend that you take a taxi from Cachora to Capuliyoc. For a relatively small amount of money, you will save a lot of time, effort and energy. It will also make it easier to complete the trip in 3 days instead of 4. 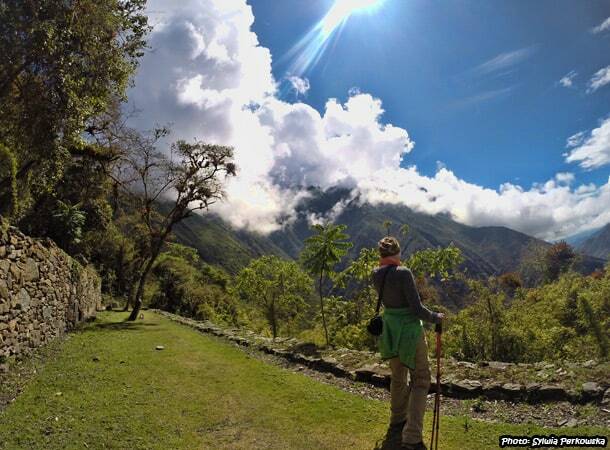 With this extra day, you can explore other places in the region of Cusco or even in other parts of Peru. But at the same time, overcoming the route in 3 days requires a significant amount of effort. So, this option is only for those of you who love to walk for hours, are in very good physical condition and are not afraid of the pain that might occur during the expedition – especially in the knees. 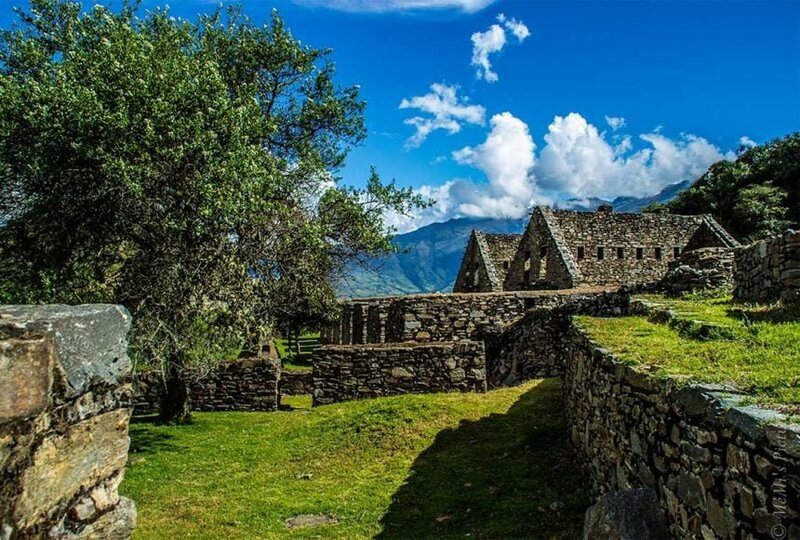 If you decide to do the Choquequirao trek with a company, make sure to ask whether they start the trek from Cachora or from the house near Capuliyoc! If they start in Cachora, chose another company. In reality, there aren’t many tour operators who skip this first part of the journey. However, Inka Jungle Tour do! So you can check out their offer. On the first day, we did the part from Capuliyoc to Santa Rosa. If you are not going to cook by yourself, try to hike a little higher. This will add 40 minutes to your day’s walk, and you will reach the location of a camping site as well as where a family that you can eat with, lives. On this day, we also descended down the valley – to the river. This place is called Playa Rosalina (here we crossed the bridge). Despite this part of the trek being downhill, it was nothing to be relaxed about. This is becayse the entire descend lasted for a few hours! You will definately feel it in the knees. In my opinion, this was the toughest part of the trek. If you do not hike too often, you may find you have troubles with this part. After crossing the river, for a change, you will have a steep part to overcome. This uphill stretch took around 6 hours in total (however it was done over two days). On the first day, we did 2 hours of this stretch, till Santa Rosa. 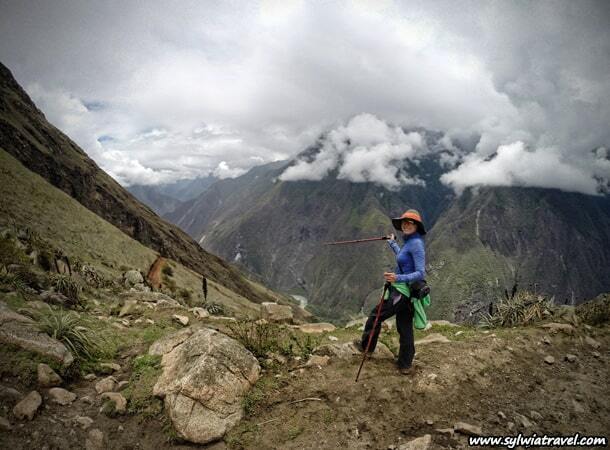 Therefore, the total trekking time on day one, with breaks included, lasted from 11:45 to 17:00. In Santa Rosa, there is a camping site with a shower and toilet. There is also a shop where you can buy drinks, snacks and sweets. Here, a water bottle of 0.65 liters costs 4 Soles, the bottle of water 2.5 liters costs 12 Soles. Here, there is also a family who prepares meals for tourists. Due to our desire to support locals and also due to our laziness, we decided to order dinner. The price for a very large and delicious portion of spaghetti was 9 Soles. There is a range of dishes on offer that cost between 6 and 10 Soles. To camp in Santa Rosa, we paid 5 Soles. This included the prices of a shower and tent. Despite the shower only having cold water, it was the best shower I have ever had. The water was not icy, and with the prevailing climate here, hot and very humid – it was perfect option. 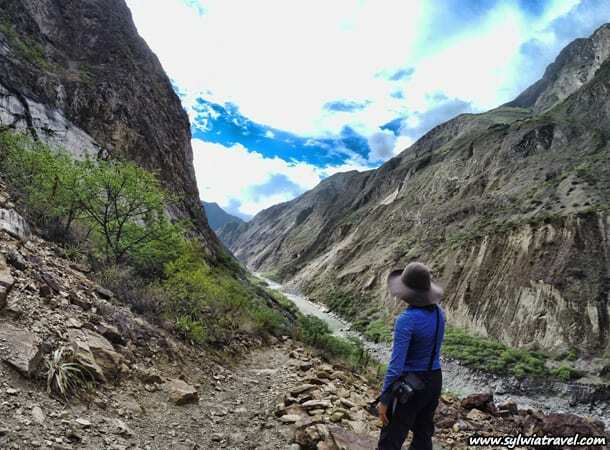 To avoid the heat, which significantly impedes the trekking and time to complete the trip in three days; we started the second day quite early. We woke up at 4:30 AM and were on our way by 5:15 AM. 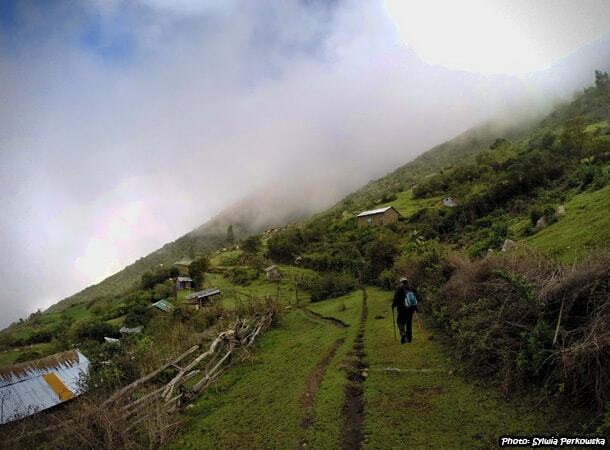 The first 3 hours were quite hard, as it was a steady upward climb to a small village called Marampata. However, this extra effort was compensated with breathtaking views. We were practically walking in the clouds, which changed the direction every minute, disclosing spectacular views. In the village of Marampata, we stopped for a short rest and breakfast. In one of the shops here, we bought fruits and water and continued our journey. From the checkpoint before Choquequirao, where tourists have to pay an entrance fee of 37 Soles, we could already see the huge terraces built by the Incas. Due to the fact that we conquered this route early in the morning, the clouds that stretched out over the entire complex added an extra dose of mystery. Something amazing. At the checkpoint, we found no one, so after stopping to take some photos, we continued the route. 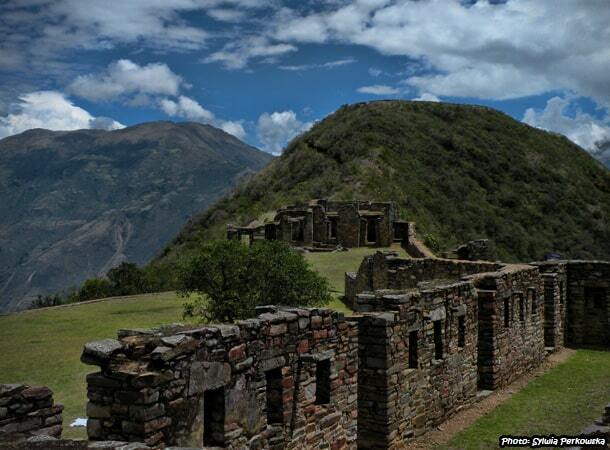 The ruins of Choquequirao appeared one hour later. We arrived at the ruins around 8:45 AM. We had a few hours to explore this unique and beautiful place. We were a little tired but at the same time very happy. We had Choquequirao all to ourselves. It was an amazing place, far away from everything – and it felt like we were at the end of the world. The views from the site are wonderful. You can see different valleys below you and snowy peaks around you. My favourite part of the ruins, was where the llamas were grazing. It is a pity that only a small part of the ruins are cleaned, while the rest is covered by trees and other plants. At around 12:30 PM, we started to head back to Santa Rosa, where we arrived at around 4:00 PM. After a short break, we continued the trek down to the river – Playa Rosalina. Here we decided to stay for a night. After taking a cold, fresh shower; we prepared delicious food and went to sleep. We were quite tired, because the last 4 hours of the route were hard, especially for our knees. On day three, we started as early as the last two days. We woke up at 4:00 AM, quickly packed up our things and started trekking. Part of our team faced a lot of problems after the second days, experiencing sore muscles and knees. From Playa Rosalina, we climbed uphill for 2 hours. Then, there were some flat parts, and finally, the last part of the trip – uphill again. We all found that this day was the most challenging for everyone. The whole trek we ended around 11:00 AM, which was when we arrived at Curahuasi. Normally from the house which is situated near this point, everyone wanders for another 3 hours to the village of Cachor – but as I mentioned before, we overcame this part by car. In Cachora we had to catch a taxi to Curahuasi, which was not so easy. We had to wait 40 minutes to find a taxi and then spent 15 minutes haggling with the driver for a convenient price. Fortunately, the taxi driver relented, and took us to the main road where we could catch our next taxi to the village of Curahuasi, from where there was a bus to Cusco. 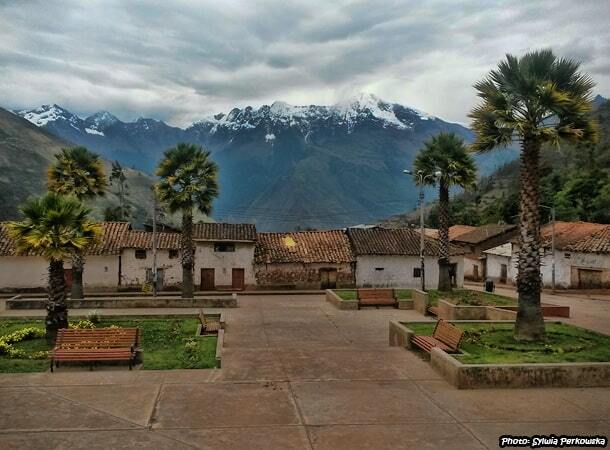 We arrived at Curahuasi before 2:00 PM and luckily caught a bus to Cusco for 15 soles. We arrived in Cusco at 6:00 PM and enjoyed a well-deserved dinner. 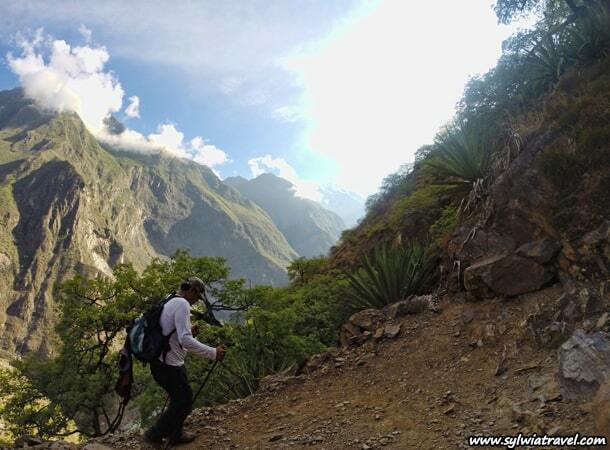 It was a really great 3 days on the trek to Choquequirao :-). jestem pod wrazeniem tego co udalo Ci sie zobaczyc w Peru, trekkingi w takich warunkach i na takiej wysokosci sa nie lada wyzwaniem. 1. czy na trekking do choquequirao musze miec swoje sprzet kempingowy: namiot, spiwor, karimate, kuchenke? czy po drodze kazdego dnia sa jakies refugios badz miejsca gdzie mozna wypozyczyc sprzet? i czy jest koniecznosc gotowania czy zawsze mozna kupic jakis cieply posilek wieczorem? widze ze pierwszego dnia byla taka opcja ale nie wiem jak w kolejnych. 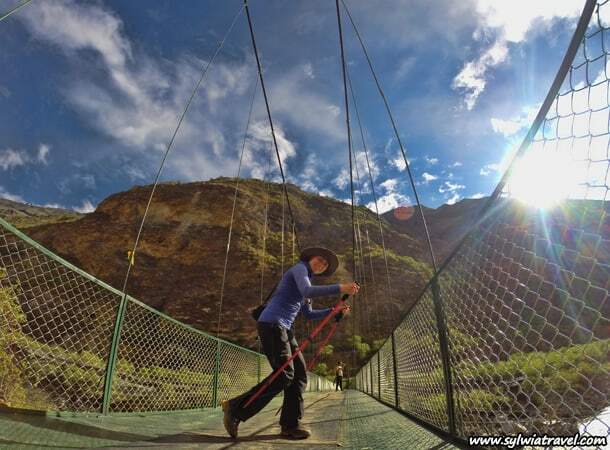 2. salkantay trekking – tak naprawde interesuje mnie to samo co w punkcie 1 – wolalabym uniknac kupowania namiotu, spiworu i etc. Jeżeli chodzi o Choquequirao, to tu na penwo jest jedno miejsce, gdzie można zjeść ciepły posiłek. Dwa pozostałe czasem są, czasem nie, więc trudno przesądzić. Ten posiłek pewny jest w miejscu, do którego co do zasady wszyscy docierają drugiego dnia. My dotarliśmy pierwszego, bo po pierwsze bardzo szybko wędrowaliśmy, pomimo zmęczenia, a po drugie pierwszą część trasy, którą zazwyczaj każdy pokonuje pieszo, co w mojej ocenie jest bezsensowne, pokonaliśmy samochodem (zaoszczędziliśmy dzięki temu około 3 godzin wędrówki). Co do noclegu, to zawsze musisz mieć cały sprzęt campingowy. Możesz obyć się bez kuchenki, ale nie jest fajnie spędzić 3 lub 4 dni w górach bez gorącej herbatki. Po drodze da się coś kupić, są przynajmniej dwa-trzy sklepiki, ale z bardzo podstawowymi rzeczami. Herbatę da się tam załatwi, tyle że nie wiadomo kiedy,w których momentach do nich dotrzesz. Wszystko zalezy jak zaplanujesz trasę, czy będziesz szła z plecakiem, czy wynajmiesz konika, który Cię w tym wyręczy, itp. Jeżeli chodzi o Salkantay, to też w mojej ocenie trzeba mieć cały sprzęt. Tu dodatkowo zdecydowane cieplejszy śpiwór. Tu są po drodze miejsca gdzie da się przespać, ale bardzo często, szczególnie w szczycie sezonu są pozajmowane przez firmy, które organizują wyprawy. Da się obyć bez kuchenki, bo są punkty w których można coś kupić do zjedzenia. Ale musisz pamiętać, że te punkty są od siebie sporo oddalone, jak Ci się nie uda do nich w ciągu dnia dojść, to zostaniesz bez jedzenia. Wszystko zależy w jakie masz tempo, ile godzin dziennie chcesz wędrować. Ogólnie, jak chodzisz dość szybko, to nie powinnaś mieć problema. Poza tym kolejna sprawa, jeżeli jesteś sama, to odradzam wyprawę samodzielnie. W przypadku Salkantay – jest bardzo wysoko, więc jak będziesz mieć problem z wysokością, to nie koniecznie będziesz mogła liczyć na pomoc. W ogóle w Peruwiańskich Andach najlepiej zawsze iść z kimś, szczególnie gdy wybierasz się w góry na kilka dni. Często zdarza się, że albo ludzie mają problemy z powodu wysokości, albo np. zwichną sobie kostkę, albo coś jeszcze. Niby nic strasznie groźnego, ale w takich przypadkach zawsze przydaje się pomoc innej osoby. Ja co najmniej kilkakrotnie byłam już świadkiem tego typu sytuacji, stąd też moja rada. Oczywiście może być tak, że się nic nie stanie i oby zawsze tak było, ale z uwagi na to moje doświadczenie, czuję się zobowiązana o tym wspomnieć :-). Mam nadzieję, że te informacje w jakiś sposób Ci pomogą. Jeżeli masz inne pytania, daj znać. Zapomniałam jeszcze dodać, że w peru jest sporo miejsc, gdzie możesz wypożyczyć i namiot ikarimatę i śpiwór. Co do ich jakości, to bywa różnie, ale da się wyszukać dobry sprzęt, tyle że w cale nie będzie tak tanio. Bo wypożyczenie tych wszystkich rzeczy na kilka dni będzie kosztować raczej nie mniej niż 40 $ a może i sporo więcej.